Hi my name is Wayne Chamberlain-- I Live in Huntingdon now as of the last few months- Before that I lived in Humboldt-- ( Which I didn't like by the way). Am trying to sell my house there so I can cut my ties . Except for handful of wonderful people I met while I was living there. I am 47 years old . This is just my practice attempt at making my page . I'll try to make a better one later that maybe will be a little less dorky. I am just getting chickens again since last summer. I've had them on and off all my life but didn't have any when I moved in town. I love all the different breeds of chickens and ducks and geese. I like guineas but have never had any. Right now I have a handful of chickens. My only purebreds right now are a trio of LF Black Cochins and a pair of seramas. 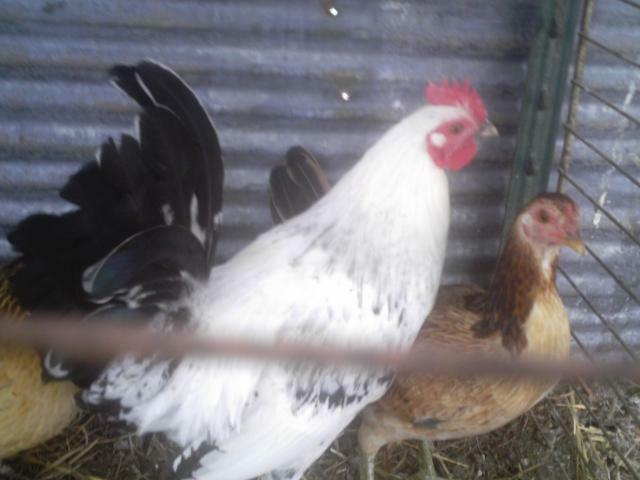 I also have several little mixed banties and some game mix hens. My plan was to develop a broody flock , but I don't know what the chickens plans are!! LOL I also have two little banty ee mutts , a roo and a hen. They are the most sweet tame little things. They sing to me when I'm outside.